Prom is a time when all young ladies want to look and feel amazing and it all begins with beautiful hair. 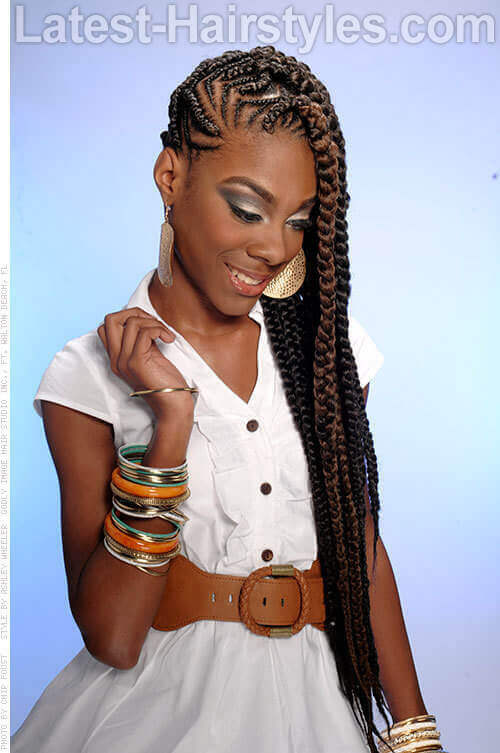 There are many prom hairstyles for black girls to choose from that are edgy, classy or simple. Whether you like up dos, braids, or styles with added color remember prom is a special time so make sure your hair rises to the occasion! I hope that these prom hairstyle ideas will give you the inspiration you need to rock your hair for your special day. Remember, you can mix styles to achieve the look you are going for. The key is to wear what makes you feel comfortable and beautiful. This is a night to remember, try something unique, and allow your individualism to be expressed. Have a great time! No need for an updo if you’re proud of your stunning hair when it’s let down. The wavy layers and deep side part all give it a voluminous and deep result. It’s a twisted-puffs, elegant updo. 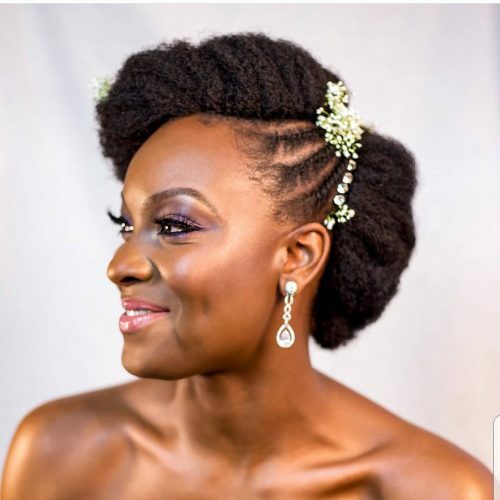 What I like most about it is that I have taken our 2 strands twists, which most of us probably wore as a child growing up, and paired it with gorgeous puffs to create this elegant look. Plus paired with the ad hoc diamond partings. The good thing about this look is it can be dressed up or down. It could easily be worn in the day and by the evening it could be dressed up with a gorgeous gown. It’s one of those styles that would last a few days and looks great on most level 3 to 4 hair types. What’s great about it is it’s off the face, which shows off your beauty and will keep you cool if your out celebrating an occasion. All you need to achieve this is, edge control, shine spray and Marley braid hair extension if you need to add length. 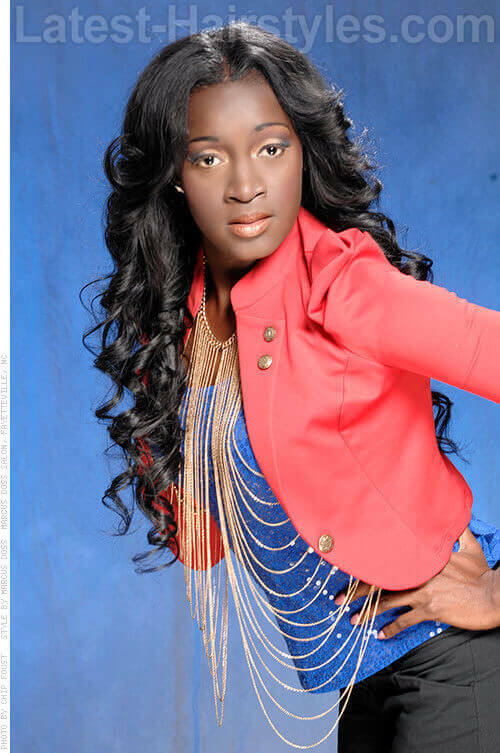 I would describe this look as a full sew-in with body curls. I love this look because it looks so natural. 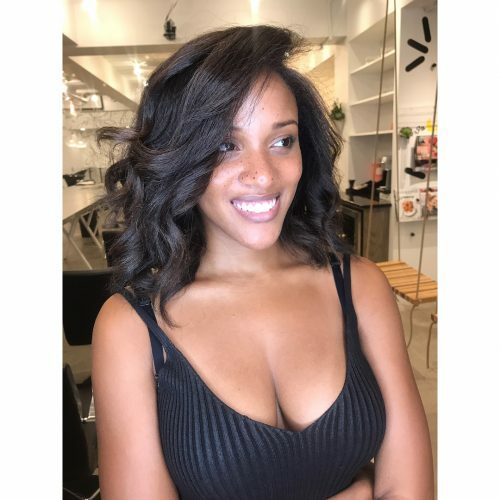 This look is a great style for clients who want to protect their hair from overheating, but also want to add length, thickness. or color to their hair. It is also ideal for those who want to take a break from wearing their natural hair. 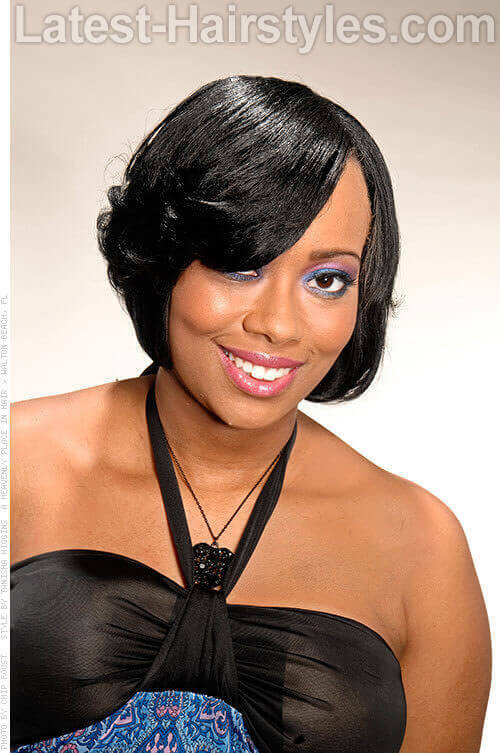 Make sure you choose commercial hair that matches your natural hair texture so that the finished look looks natural. Stay away from styling products such as oils, hairsprays, and serums. Styling products will weigh the commercial hair down and cause it to look oily. A person with a very active lifestyle can easily pull this hair up into a twisted bun, a loose ponytail, one-side it, or wear with a suit every day. This look is very versatile for many lifestyles. I would describe this look as a “Naturalista Updo”. 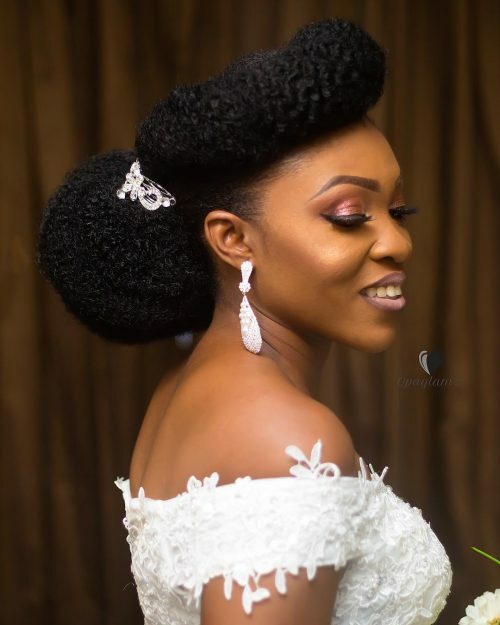 It is a very low maintenance but elegant style for a girl with natural hair. It is also considered a protective style, which is my favorite thing about it. 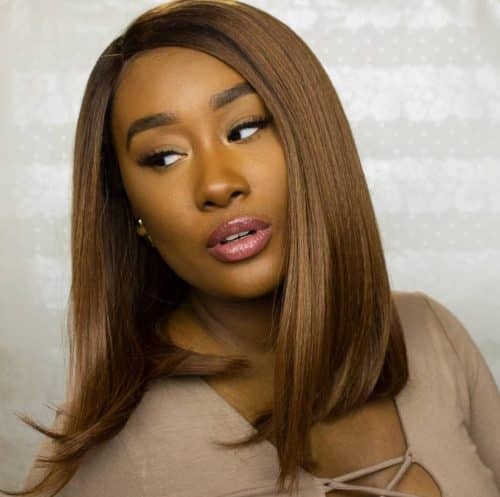 This low upkeep style is amazing because you are able to wear this look without damaging the hair while still feeling pretty. 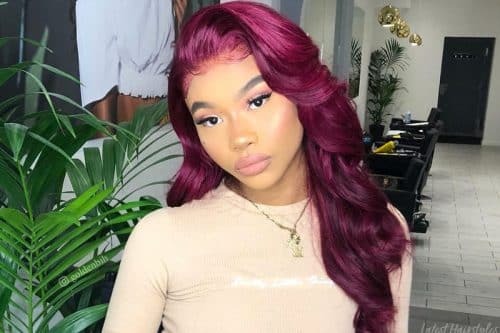 My advice to anyone considering this look is to make sure the style is done on moisturized hair so when the look is taken out, your hair will still feel very amazing. I recommend doing the style on wet hair, using a moisturizing mousse or a curling cream. 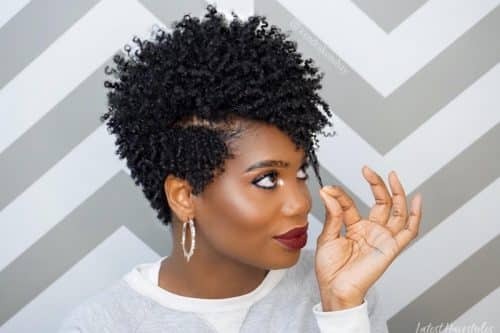 This look is a great choice for anyone with a tight curl pattern because it will hold the twist very tightly and not loosen. This style is perfect for anyone who is sporty, active, and likes versatility because this style gives you multiple looks in one. 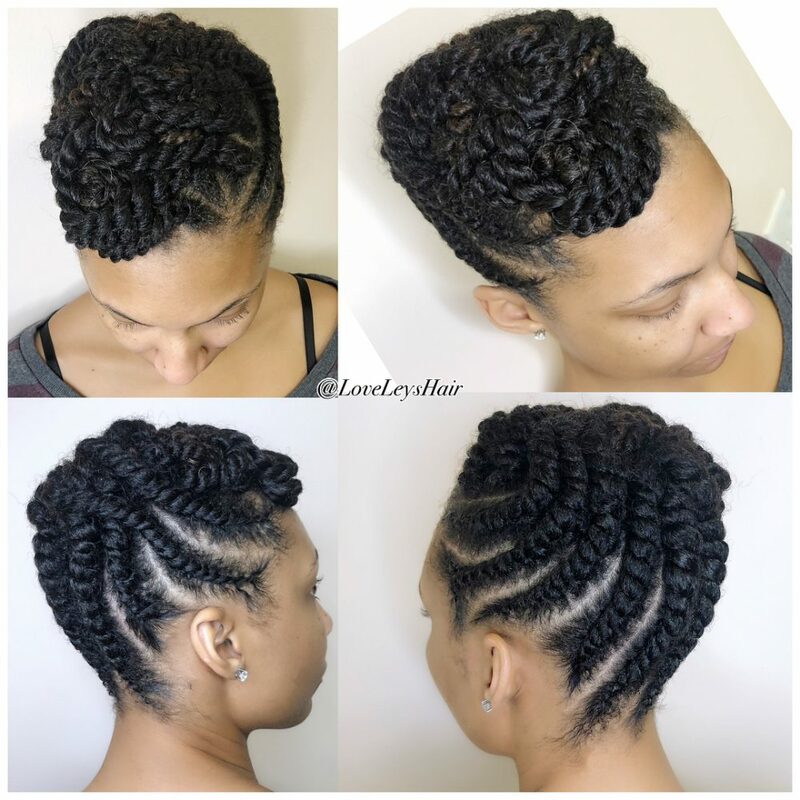 The top crown portion of the twists can be unraveled and worn as a free twist out, which will give you an updo with a look of loose curls at the top. 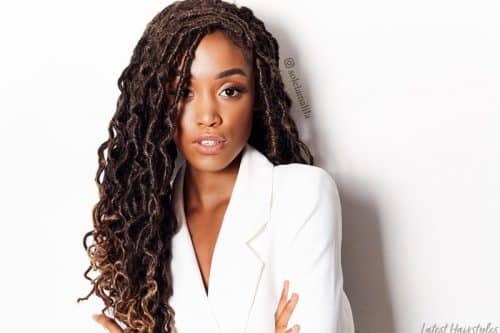 Or, once you are ready to take the whole style out, all of the twists can be unraveled and worn as a twist out which gives your hair great texture and definition. Adding oil or serum to your hands before touching the twists and curls will help retain great shine and leave your hair looking beautiful. This is an easy and quick look to achieve because it is both simple and distinguishable. What I like the most about this look is that it preserves breaks, protects the brittle hair, and helps to regrow the hair. I highly recommend the look to on-the-go clients because it is easy to maintain with simple products like olive oil, coconut oil, or gel. This look is known as “lemonade braids“. 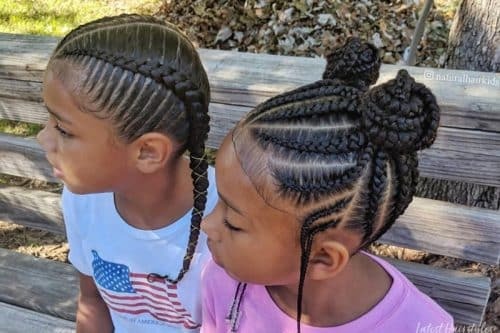 These are freestyle cornrows that demand creativity and a lot of time. It’s a type of style that has been around for a while and the price varies based on the length and size a customer may want. My favorite thing about these braids is the unique design. With this style, I have to make sure the pattern I am creating is neat and presentable. I love doing this style because clients are always satisfied with the designs I come up with. Even though it takes up to six to eight hours to get them done, it is worth the satisfaction! The alignment of the braids, the gaps I create, the length of the braids and the finishing touches are all just amazing to me. I am exhausted after creating a look like this, but it is always worth the time and effort. Protect these braids before going to bed. This step is very important to help maintain the style longer and keeps it neat for the next day. Secondly, moisturize your scalp because when these braids get old, they tend to lose their shine. 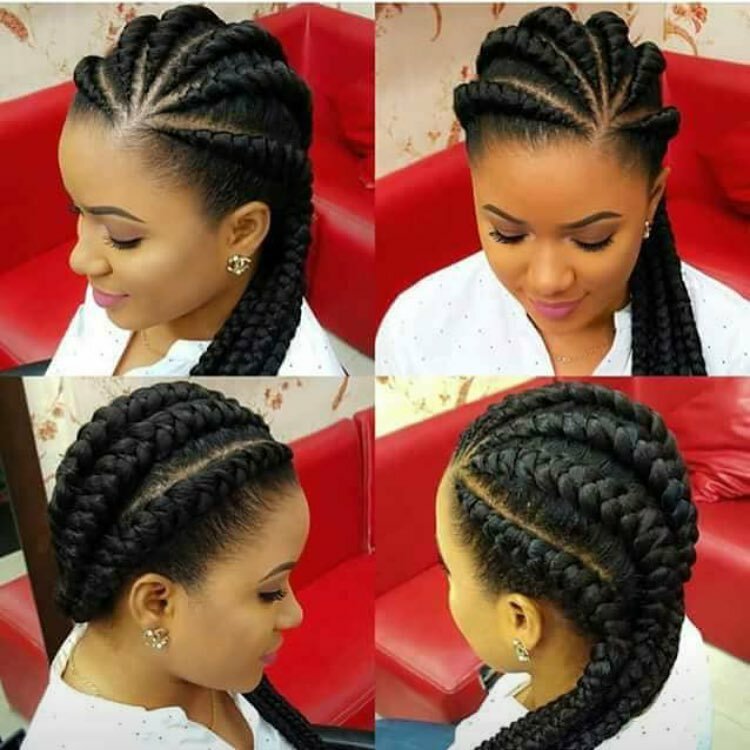 Any type of hair (natural or relaxed) can wear these braids, but I don’t recommend this style to anyone with short hair. Also, keep your edges safe by not keeping the braids in for way too long because they can be pulled along with the braids. The one word I can use to describe this style is effortless. 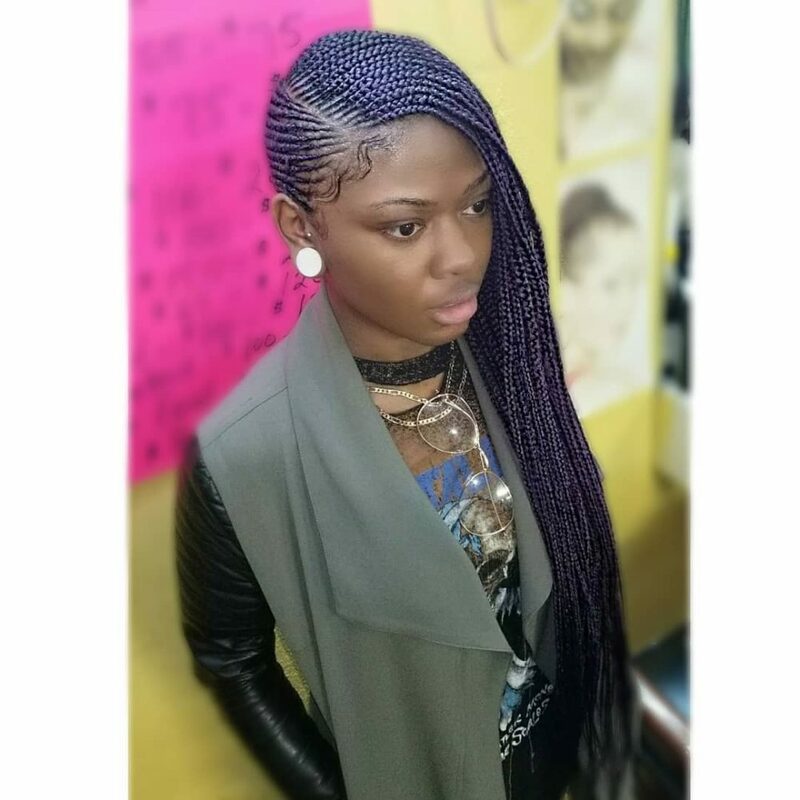 If this style is braided the right way, it can frame any shape face perfectly. My favorite thing about this hairstyle is that everyone and anyone can wear it. It does not matter what age you are, what texture hair you have, or your profession. Anyone can rock this style while looking elegant, but not boring. 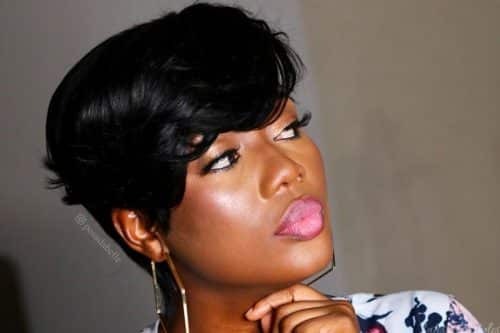 The tools needed to create this hairstyle are a comb, elastic band, any type of hair grease, any type of edge control, Kenekalon hair, and someone with hair. Any type of hair texture can do this style. It does not matter if your hair is short or long, as long as it is catchable. Anyone from a 5 year old to a 50 year old can wear this style and still look appropriate and exciting. As long as your hair can be braided, this style is for you. In order to recreate/maintain this style ,I would suggest the use of a lightweight oil to provide shine and a product with medium hold to provide a longer staying power. I recommend this look for the slightly edgy woman with at least 30 minutes a day to dedicate to refreshing/styling her hair. In my opinion, this style best suits women with a oval head shape. This is a cute updo style with braids. Flat twist, or cornrow hair from crown to center of head. Try EcoStyler brand gel, spritz and edge control for a style that will look good all night. This style suits all face shapes. 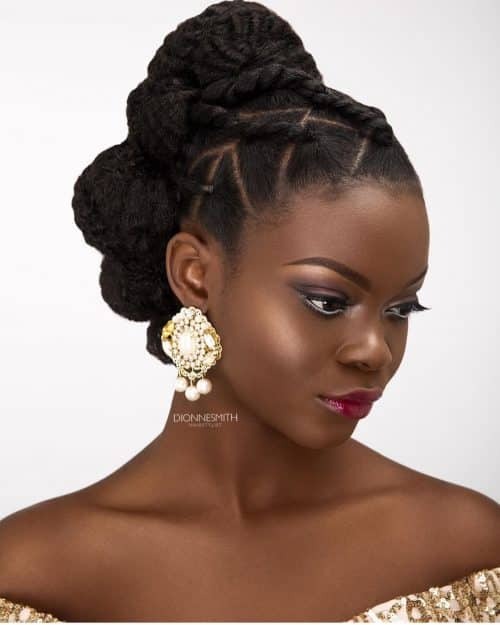 You can also achieve this ponytail style with weave. 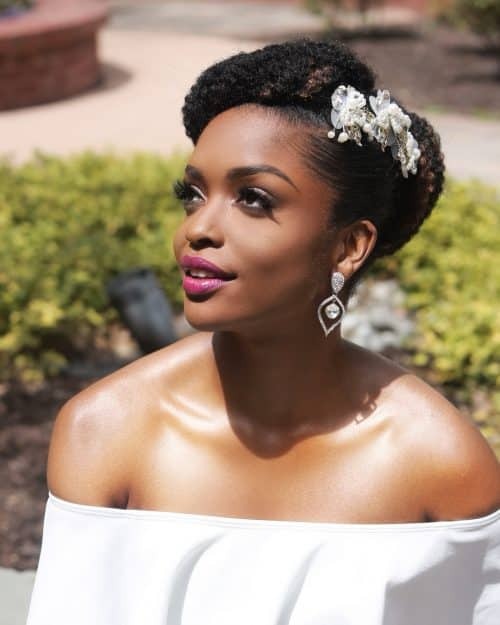 This one’s a totally elegant look that proves natural hair can be tamed to look put-together. Finish with a crystal piece for added grace. 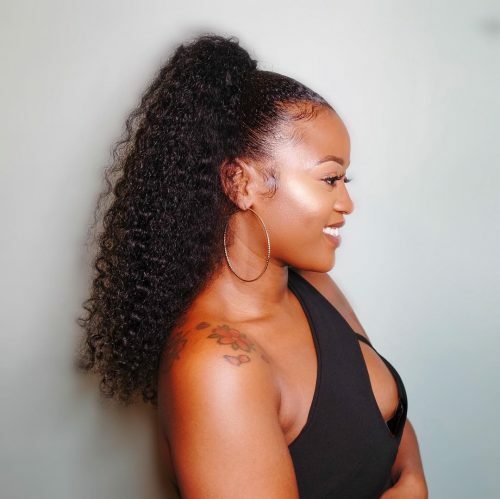 Save your time styling your hair with this glamorous curly high ponytail. You deserve to feel free and feel extra on your special night. Look chic and fashionable with this straight and glossy caramel brown hair. Simple yet sophisticated! Cornrows and flowers are the perfect combo to produce a real sophisticated updo. Flaunt your natural hair confidently in a soft, romantic look like hers! 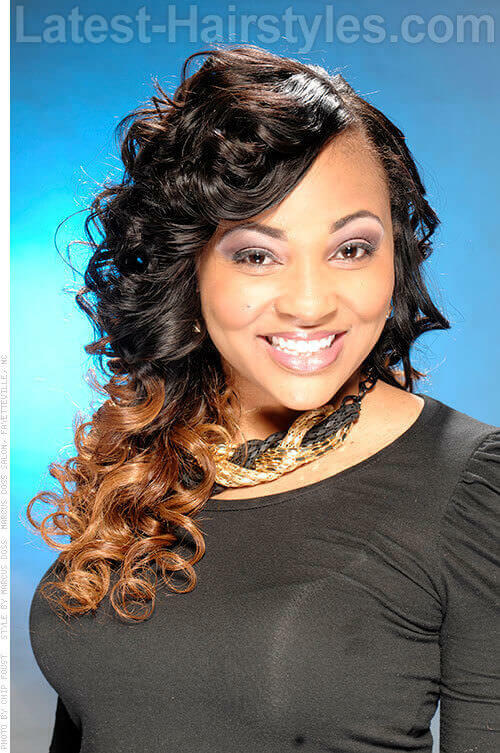 Ideal for short and round faces, these center-parted strands look neat and fabulous especially on lengthy waves! It’s fresh, elegant, and a real easy-to-do hairstyle! This formal, soft spring look’s the ideal style to go for if you wanna put attention and brighten your face. It’s neat and polished and really an eye-catcher! 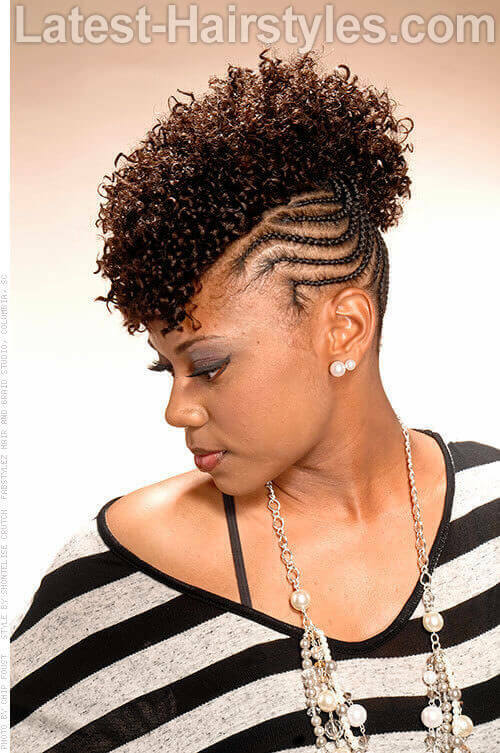 This cute style features a curly mohawk and side cornrows. Braid her from one side to center of your head. Create mohawk by using a curling wand. This style suits almond and heart face shapes. Try incorporating extensions for a fuller look. 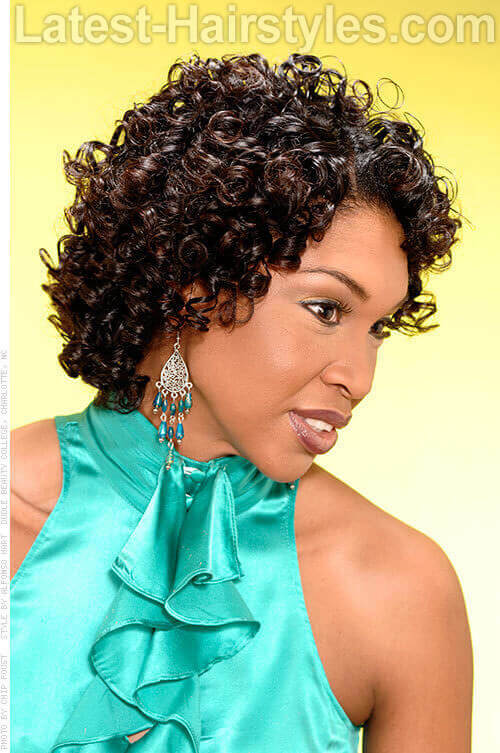 This style features and all over curly look on short to medium length hair. After blow drying hair apply heat protectant. Take small sections of hair and wrap around curling wand. Use a heat protectant to minimize heat damage and apply a curling hold product for lasting curls. This style suits round face shapes. This look can also be achieved with rollers. 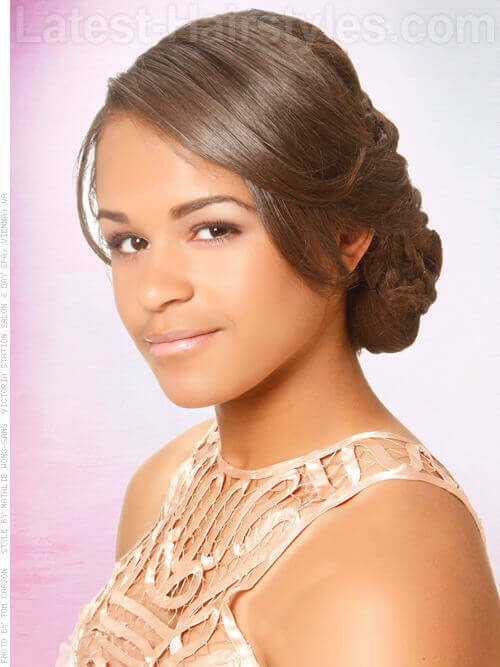 Beautiful waves adorn this long style for a prom diva look. Seperate hair into small sections. Use a barrel curling tool to set curls one section at a time. Use a holding spray to keep your curls looking fresh. You long look can also be achieved with extensions. This simple and elegant bob style will make you the most sophisticated girl at the prom! Use flat iron to create layers. Use holding spray and heat protectant for a picture perfect do. You can also achieve this style with extensions. A sweet updo featuring a long side bang and flower accessory. Mold hair into ponytail using spritz. 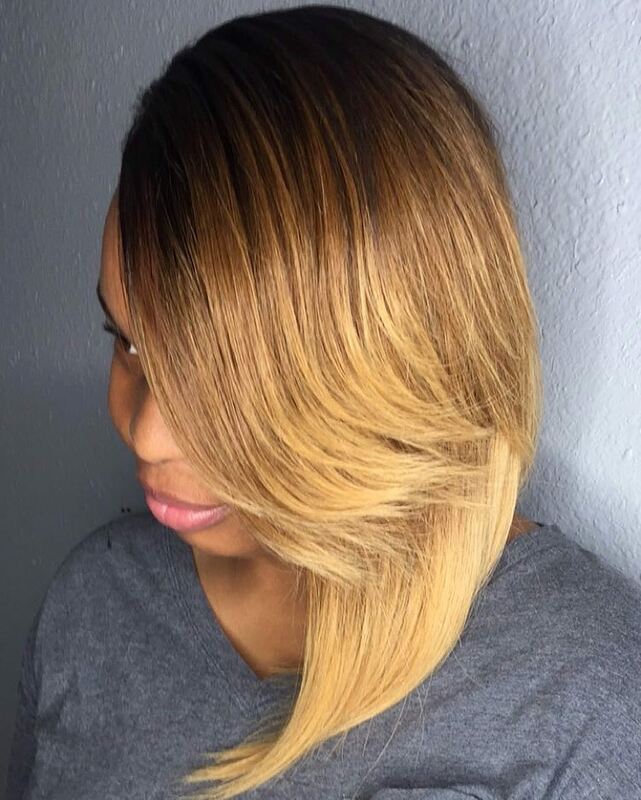 This style can be achieved with natural hair or extensions. If you don’t have enough length for this style you can add extensions. The ombre look is really in this season, and is a great spring prom look. Add color to the ends of the hair. . Create curls with a simple heat tool such as a curling iron, flat iron, or wand curl. 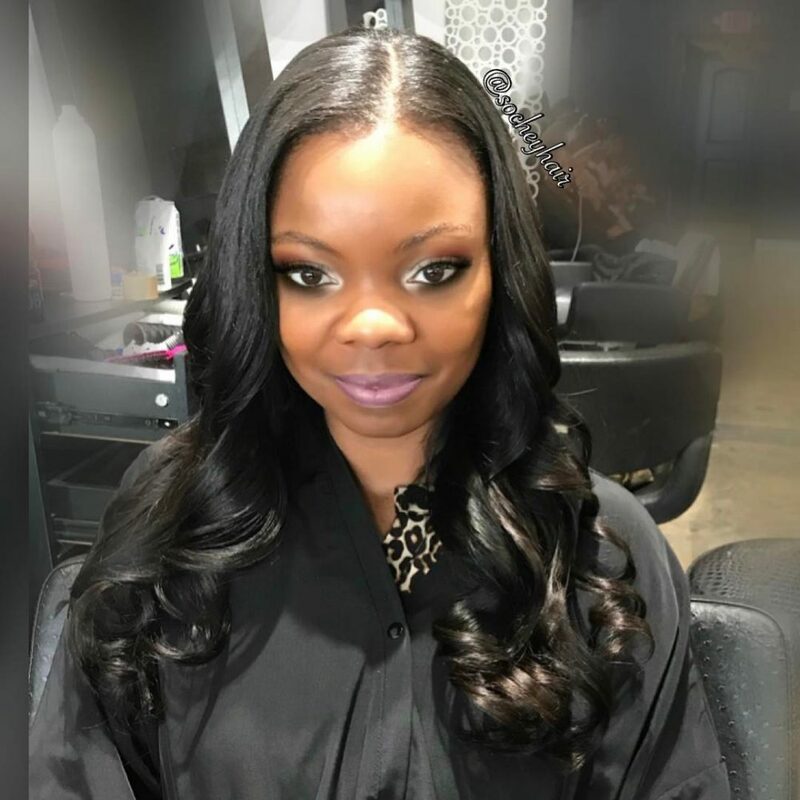 Use heat protectant and edge control for a beautiful look. For a healthier option, use a natural hair dye. Elegant buns and swoops are a timeless prom look. Manipulate hair in place for the bun. Allow a little hair to hang down for the bang. This style suits oval and round face shapes. This half up and half down with hump is a prom classic that any young lady can effortlessly rock! Use a “bump it” hair tool or back comb hair to achieve the hump look. Use heat protectant for thermal protection. This style suits oval face shapes. Use the “bump it” styling tool for the perfect hump. This do features a combover with lush curls. Use bobby pins in the back to secure hair to one side. Long braids are super popular now and make an edgy statement for prom. Cornrow hair one one side. This style can be kept neat with edge control. 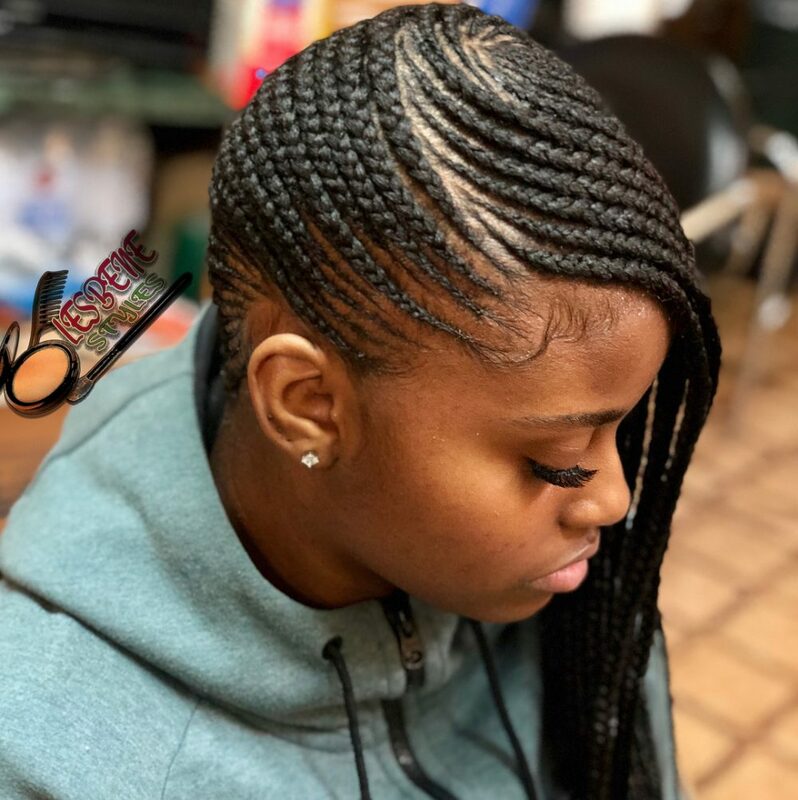 This style is done best by a professional braider.